By Brian Hoey. Aug 28, 2015. 9:00 AM. In a letter to Carl Friedrich Zelter, the iconic German poet and playwright Johann Wolfgang von Goethe wrote, “All poetry is supposed to be instructive but in an unnoticeable manner; it is supposed to make us aware of what it would be valuable to instruct ourselves in; we must deduce the lesson on our own, just as with life.” If his words are to be taken at face value, that makes Goethe himself one of the most valuable teachers the world has ever known. 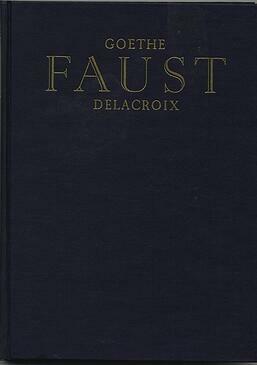 The author, who is perhaps best known for his singular reimagining of the Faust myth, left behind a prolific body of work that runs a tremendous emotional gamut, comprising both utter despair and ultimate salvation. Though he said, in a 1780 letter, that “(w)hen young, one is confident to be able to build palaces for mankind, but when the time comes one has one's hands full just to be able to remove their trash,” he can lay a unique claim to having built one of the most impressive palaces in all of German literature. Goethe’s exhortation to be something in order to do something might, on the other hand, reflect the deep emotional work that needs be done to produce affecting literature. Goethe was, after all, the father of the proto-romantic Sturm und Drang movement, which prioritized the breadth of volatile human emotions. In the case of one of his earliest and best-loved works, The Sorrows of Young Werther (1774), Goethe noted that he “shot his hero to save himself,” meaning that his protagonist, who is embroiled in romantic folly, kills himself in order to give Goethe, who was similarly embroiled in his own life, a sense of catharsis. Whatever the methods Goethe took to produce it, however, Werther remains one of the best loved texts of its era, due in large part to its tremendous depth of feeling. Lines like “misunderstandings and neglect occasion more mischief in the world than even malice and wickedness,” and "I have possessed that heart, that noble soul, in whose presence I seemed to be more than I really was, because I was all that I could be,” still strike a deep chord with modern readers. Goethe’s youthful passions were eventually transmuted into the more intellectual energies that defined his later work, most notably Faust (1808), the latter half of which was not published until after Goethe’s death. Faust’s insistence that “As long as on the earth endures his life/To deal with him have full and free permission;/Man's hour on earth is weakness, error, strife,” echoes the ennui of Goethe’s earlier works, but it also elaborates on it. 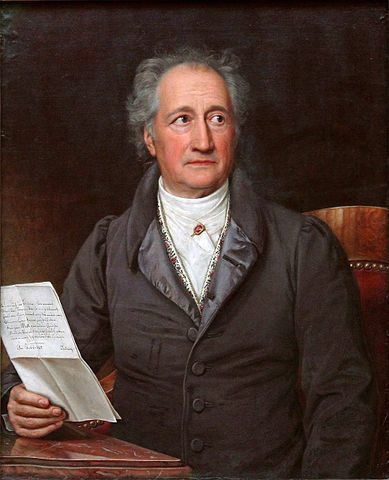 By restructuring an old tale to reflect a new intellectual optimism, belied by the famous line, “He who strives on and lives to strive/ Can earn redemption still,” Goethe further establishes himself again as a master instructor, teaching his readers that the possibility for redemption may seem small but never quite vanishes. Perhaps this is why his work has endured for centuries and profoundly impacted such luminaries as Thomas Mann, Ralph Waldo Emerson, and Sigmund Freud.